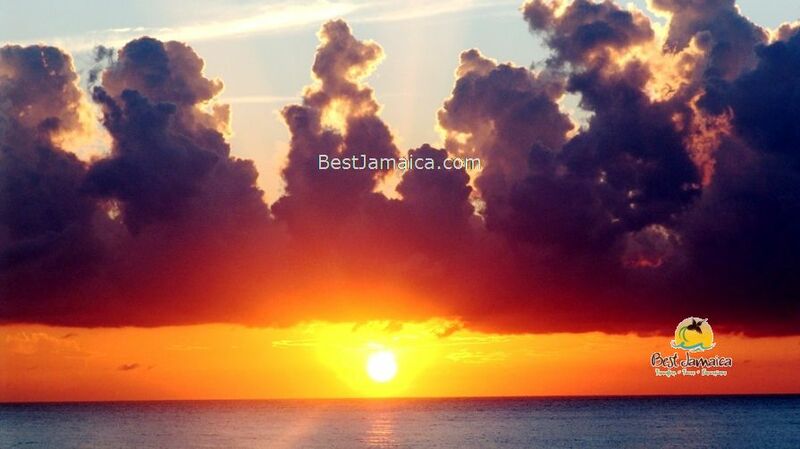 The question in most visitors’ mind is:” what are the best things to do in Jamaica”? 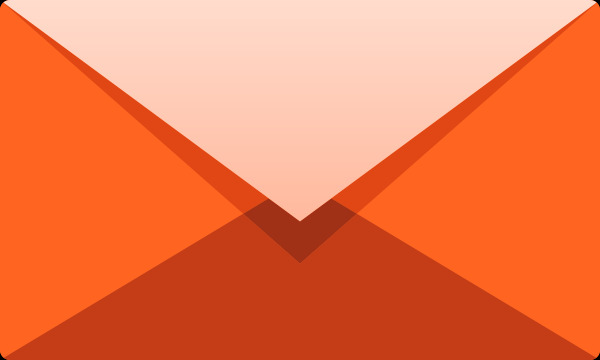 The answer is not as straight forward as it may be anticipated; in fact, there are some intricacies to be considered, to say the least. Jamaica is an island that boasts a rich in history, emerging as a country with a hodgepodge of races, food, and culture, all these taken together makes it an interesting destination. In an effort to guide visitors’ adventure choices, we have put together a list of things to do in Jamaica. Each of the four corners of the island has its own unique flavor; depending on a person’s nature, there will be many choices from which to choose. The eastern end of Jamaica is probably the most beautiful; its natural attractions would easily make it the centre of the tourism sector, and reasonably so. Here you will find some of the best things to do in Jamaica for sure. Picture perfect, Port Antonio is the scenery of nature’s finest work among such: the bottom-less Blue Lagoon, Reach Falls; Somerset Falls and Rafting on the Rio Grande; to name a few. The drawback to exploring this area is that Port Antonio is a town by itself on the eastern end of Jamaica and not very close to Ocho Rios, Montego Bay or Negril the more popular spots. West of Port Antonio is the stunning town of Ocho Rios in the parish of St. Ann, here is the home of splashes and reggae. The world-famous Dunn’s River Falls, Dolphin Cove, Blue Hole Secret Falls, Bobsled at Mystic Mountain and the birth place of reggae king Bob Marley are just a few of some of the best things to do in this area. Continuing further west is the city of Montego Bay, the tourist capital of Jamaica. 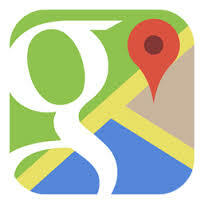 It is in close proximity to some of the better Jamaica tourist attractions. MoBay, as affectionately called has some of the most exquisite resorts, shopping, and is the home of Jamaica’s busiest airport, as well as a cruise ship port. Tucked away at Jamaica’s most western end is Negril, another resort town is a complete tourist resort area, it can be deemed a do-as-you-please place. Negril certainly has some of Jamaica’s most interesting attractions and activities. The Seven Miles white sand beach is world famous, snorkeling, sailing, parasailing, water-ski, windsurf, kayak or glide along the coastline on a catamaran. The famous Ricks Café made cliff diving popular, and here is also where one will see the most beautiful sunset on the island. Jamaica is quite an interesting island with very much to see and do; let us help you to plan your tours and excursions and maximize your day under the sun. Best Jamaica Airport transfers and Excursions embraces it’s tagline to the fullest: “We Know Jamaica BEST”. 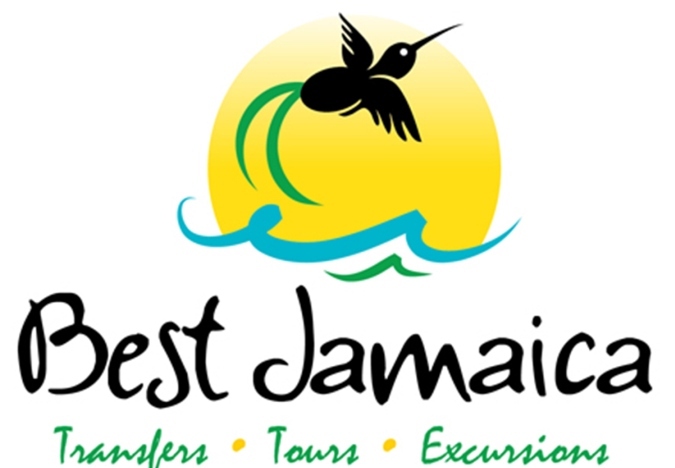 We have a natural passion for Jamaica and all that it represents; our reputation precedes us for helping our guests create value for money with meticulously planned and executed day trips all geared towards insuring that our guests enjoy the best of what Jamaica has to offer in a special way. 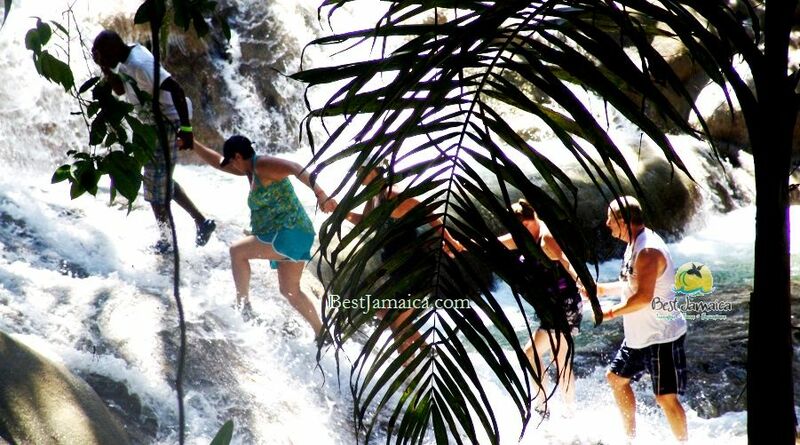 The Dunn’s River Falls is Jamaica’s premier tourist attraction and certainly one of the best things to do in Jamaica. Situated in the resort town of Ocho Rios, the Dunn’s River Falls is an iconic attraction which is synonymous with Jamaica as a tourist destination. The aesthetics of Dunn’s River Falls is a great pull, it is majestic, and royal in its appearance, yet gently enough for children. The Blue Hole Secret Falls is a fantastic waterfall. It is certainly one of the best things to do in Jamaica. Situated in Ocho Rios, the Blue Hole Secret Falls is just a phenomenal place with allows rope swings, jumping, diving and even cave exploration. This excursion is great for visitors arriving via cruises or stop overs. 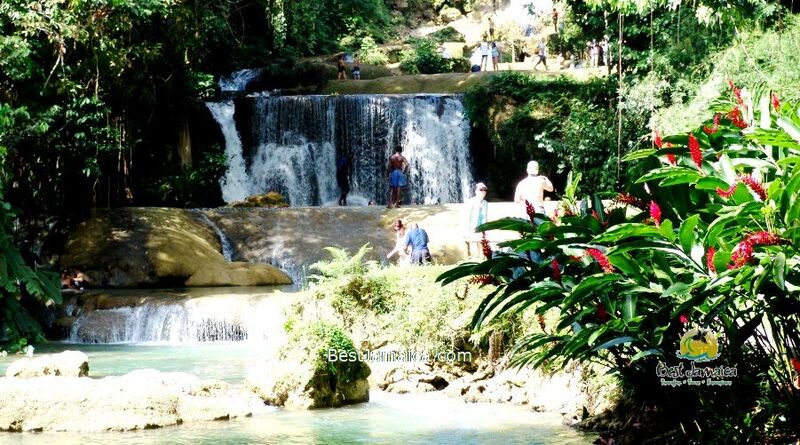 It is also great if combine with another tour or excursion to maximize your Jamaica experience. Bob Marley Nine Miles Tour is a favorite to many. Nine Mile is a small rural community that is situated in the Parish of St. Ann Jamaica. 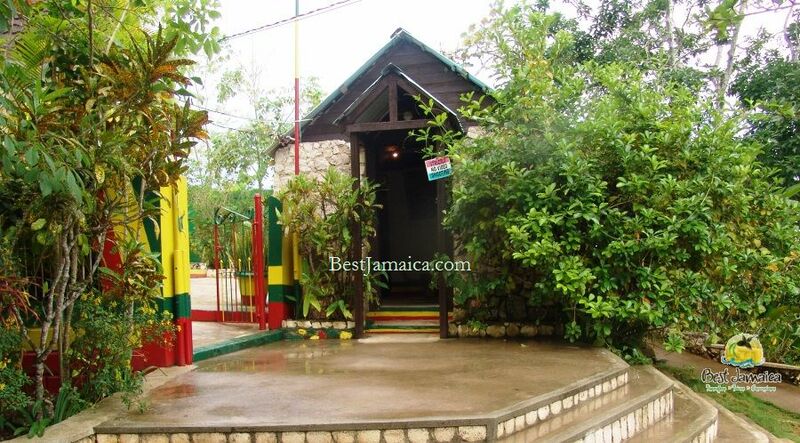 It is the birth place of Reggae Legend Bob Marley as well as his final resting place. This made the list of one of the best things to do in Jamaica as it highlights the Jamaican culture like none other. The drive to the Bob Marley Mausoleum will take you through some rustic communities helping you to see the other side of Jamaica. Horseback ride and swim is definitely one of the popular things to do in Jamaica. For many it has always been a dream to ride a horse. 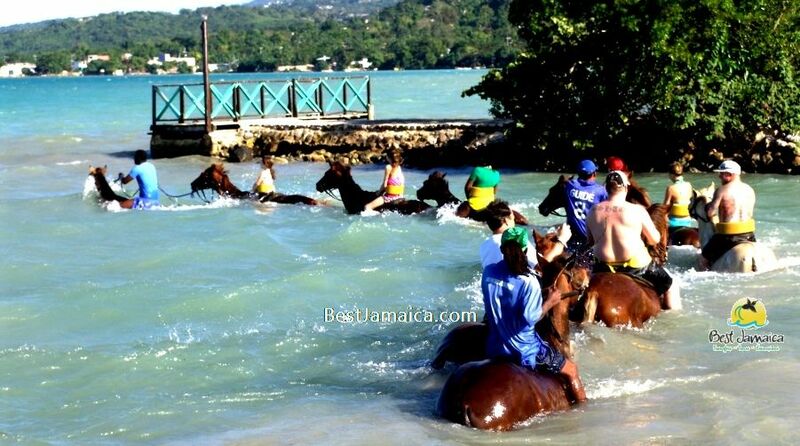 However, here in Jamaica you can even take it further by taking your horse for a swim in the warm Caribbean Sea. Best Jamaica, the number one Tour Company in Jamaica has help many dreamers to fulfill their life’s dream to a great time with a magnificent horse and some of the other best things to do in Jamaica. River tubing has made our list of one of the best things to do in Jamaica. Jamaica is known for its lush vegetation and clean water; there is no doubt that river tubing is one of the main things to do here on the island. The White River which is located in Ocho Rios is just perfect for this activity where the water is swift enough to have a thrilling time,yet still gentle enough for kids. Certainly, your trip to Jamaica is not completed until you get the Negril experience. Negril is known worldwide and even if you are not staying there; a visit to this magical place will surely enhance your Jamaica experience. Negril is home to the famous Seven Mile Beach, Rick’s Café and many other water activities which allow you to enjoy the pristine blue water of the Caribbean Sea. The atmoshphere in Negril envelopes your souls; it easily feels like a home away from home; its friendly atmosphere and village-like feel makes you wanna just stay. Tucked away on the Southern Coast of Jamaica is the one of a kind: YS Falls, another of Jamaica’s stunning water activity. Its well manicured ,magnificent grounds is smacked in the middle of a farm; it’s something quite different from the norm. Scores of people who have visited this glorious garden have agreed unanimously that this is certainly one of the best things to do in Jamaica. The Pelican Bar is a unique type of excursion. This is probable the world’s only Sea Bar and it doesn’t get more exclusive than this. Anyone who can appreciate the thrill of being surrounded by water on every side will agree that this must be one of the best things to do in Jamaica. The Pelican bar is a site that is built on sand dunes out in the Caribbean Sea about a 15-minute boat ride from shore. It is great snorkeling, swim or just to hang out and have a drink out in the warm Caribbean Sea basking in warm golden sunshine. A visit to the Black River Safari is most definitely one of the best things to do in Jamaica; it’s a great adventure for kids. This excursion is one of nature’s most precious gifts to the island. Here crocodiles roam in the wild; these creatures are protected in Jamaica, and are a very important symbol in our culture. The island’s national symbol, the Coat of Arms showcase a crocodile mounted on a Royal Helmet of the British Monarch, representing part of our history. While they are don’t run rampant around the country there are some areas where they have been resident for a while. Being a “Land of Wood and Water, rivers are one of Jamaica’s abundant resources. Rafting is one of the activities that is relaxing and thrilling all at the same time. The Martha Brae River is located just thirty minutes from Montego Bay and fifteen Minutes from the Falmouth Cruise Port, and is one of the best things to do in Jamaica. The Martha Brae is a large body of water but gentle. This romantic excursion is great for any age as the slow moving handmade bamboo raft meander down the river guided by a skilled Tour Guide.